Positive Psychology | Shift Happens! It is easy to think of the role of a project manager in terms of tasks, schedule, budget, resources, deliverables and risk. These are the things that many project management books and courses focus on. But it would be wrong: people deliver projects. 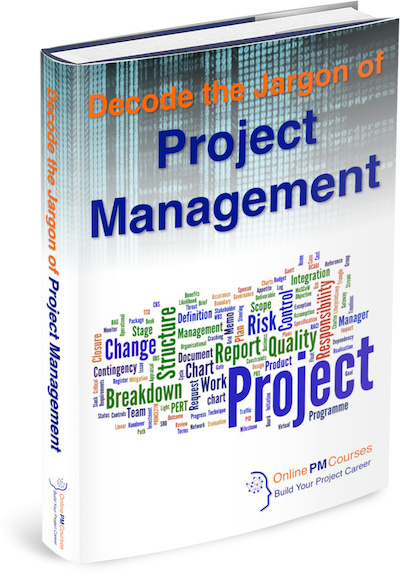 Your role, as a project manager, is to enable them to do so. Perhaps we might characterize this part of your role as Project Leadership. A big part of the leadership role is to enthuse and motivate your team. The problem we have is that there are as many motivational factors as there are people; more, in fact. I doubt there is just one thing that motivates you. So if you look at motivational theory, you’ll find many different models and theories, all emphasizing different aspects that contribute to a complex whole. So, I want to look instead at four general principles that will help you figure out the best way to keep your project team motivated, day after day, in the good times, and the tough. Without banging on about the obvious truth that we are all the same, yet we are all different, it is vital to emphasise that there is no one-size-fits-all solution to motivation. The cultural, social and personality differences among your team are its greatest asset, so why would you try to treat everybody the same, in motivating them? Some people need endorsement, others want rewards. Some need to feel they have power over other, while some just want to work together in harmony. The solution is therefore obvious and, I hope, not onerous: you need to get to know everybody in your team. Find out about what they like and don’t like, how they tick, and what gets them excited. The more you can get to know each person, the better able you will be to allocate them roles that interest them to start with. And, when you need them to do something less enticing to them, or when their morale has dipped, you will have deeper insights and a stronger relationship from which to motivate them. It’s easy to motivate someone to something they already want to do. The more you get to know me; the more I get to know you. If you treat me with respect and act generously towards me, then I will feel grateful and will like and respect you. The urge to reciprocate loyalty is a powerful motivator for most people. Loo for ways you can do small favours for team members and find ways you can accede to reasonable requests. If you make their lives easy, morale, and motivation will stay at a higher level all round. The alternative, a Martinet attitude to following the rules slavishly, will often breed resentment, distrust, and a feeling that strict compliance is all that your team owe you. Small children spend a lot of time asking the question ‘why?’ And so do adults… it is just that we have learned not to constantly do it out loud. But that does not negate the fact that if we don’t get a good answer, then we want to rebel. We certainly are not motivated. At the simplest level – tactical, if you like – is the power of the word ‘because’. If I don’t know why you are asking me to do something and cannot see the point, then I may comply, but only because I believe I should. I won’t be motivated: at best, I’ll be frustrated with you. But, if you give me a simple reason why you want me to do this, then you will neutralize all of that demotivation and replace it with a sense of purpose. This is especially to if that purpose links to a higher meaning. People have a real drive to find meaning and purpose in our lives. We have values and a sense of what is most important to us. If you are able to link your project, or the work packages you are assigning, to a team member’s sense of purpose or their values, then they will be hugely motivated to deliver something that, to them, is important. Give people a compelling reason to do what you are asking of them. There is an old story of three workmen by the side of the road. A traveller stops by the first, who looks grumpy. ‘What are you doing?’ the stranger asks. ‘I’m cutting up rocks to make these blocks’ the worker replies in a surly way, and sits down. The next worker seems a little less grumpy, and is steadily working with a determined expression. The traveller asks him the same question. ‘I’m creating blocks so we can build a wall’ he says with a resigned air, before returning to work. The traveller stops by the third man, who is smiling as he works, and puts her question again. The man replies cheerfully: ‘The blocks I’m making will form the first wall of the finest library the world has ever seen – a home for the greatest wisdom and most moving literature.’ He smiles with a sense of pride, and happily resumes chiseling. Some people see failure as a spur to greater efforts, while others take it as a cue to give up. But we all find success motivating. Set people up to succeed, rather than to fail. Amplify their success by making tasks hard but possible. We become demotivated very quickly when we do not feel in control of our lives and our work. So giving your team members control and a level of autonomy in the work you assign them will be motivating for most, as long as the challenge you set them is not so great that the fear of failure takes over. This means you need to fully understand their level of ability and readiness for a challenge. However, it is only when working at the edge of our capabilities that we can achieve flow states of deep, contented concentration. Another highly motivating feeling for most people is the sense that they are growing, developing and learning. So be sure to deliver a programme of work for each team member that takes them forward in their skills and knowledge. Amplify this effect with positive feedback that emphasizes what they are learning and how they are developing. This will give them two things. First, they will see endorse their progress – and some people need this kind of external validation, whilst others don’t. Second, it will be a way to show you are interested in them and their progress, and that you want them to succeed. Human beings are social animals and for most of us, success on our own is cold, lonely, and demotivating. We need to share that success with others. Indeed, the need to build satisfying workplace relationships is a primary motivator for many people. Let’s not forget that, for full-time team members, they will spend more of their waking hours with their work colleagues than they will with their partners, families and others with whom they choose to spend their lives. For some, work colleagues form their primary social network. People need to feel embedded in a social context where both the group’s success, their part in it are recognised. Beyond the need to feel part of a group, some people are strongly motivated by having a clear role within that group. Feeling we are needed is a strong human motivator. In some, this appears as a need for status and recognition of their knowledge, skills and contribution. Where you can, reward people with formal badges of recognition. As a minimum, find ways to celebrate the successes of individuals (this will appeal to those with a stronger drive for status and respect) and of the team as a whole (which will appeal to those whose primary social motivator is to feel part of a group). When team members feel a part of a team that they value, they will also feel a sense of responsibility to their colleagues. This often takes stronger forms, for which we use words like loyalty, duty, and obligation. So, as a leader, you must work hard to create these powerful motivators, by building up a team spirit and feeling of coherence. Regular team activities, collaborative input into planning and decision-making, and some form of home base infrastructure (real or virtual) are all good ways to facilitate this. There are a lot of things you can do to build motivation among team members as a group, and for each individual within the team. No one approach will work for everyone. So, as with much in project management, a portfolio approach is likely to succeed best. My strongest advice is this. Don’t leave team motivation to chance. Make time to think it through. Get to know your team and plan how you will keep them motivated. Build a strong motivational resilience in the good times, and then work hard to maintain motivation when things get tough. 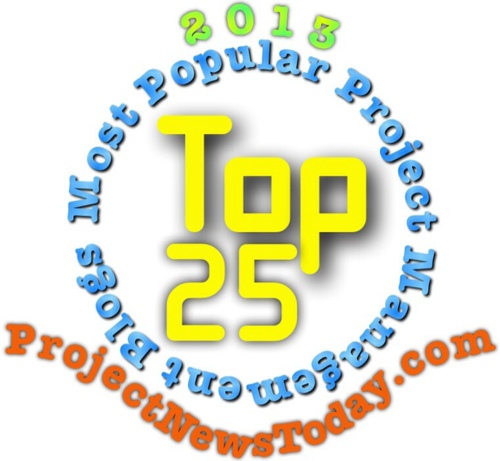 This article was first published on the ProjectManager.com website on 7 October, 2015. 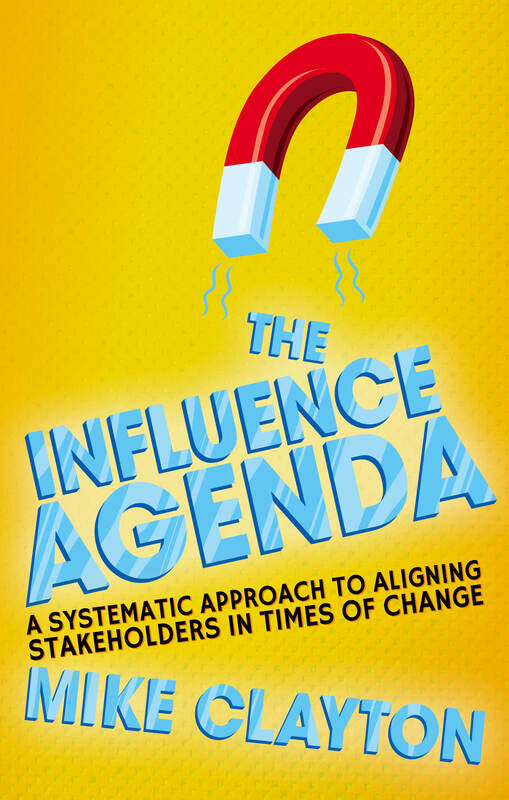 Dr Mike Clayton is the author of The Influence Agenda, published by Palgrave Macmillan – www.theinfluenceagenda.co.uk – on which this article is based. His other books include ‘How to Manage and Great Project’, ‘Brilliant Project Leader’, and ‘Powerhouse‘. Exceptional video training programmes, based on my best-selling live seminars. This entry was posted in Brilliant Project Leader, How to Manage a Great Project, Positive Psychology, Project Success and tagged motivation on 14 January, 2016 by Mike Clayton. In tough times, project management is not enough. People get scared and uncertain, and they need leadership to keep them motivated, confident and effective. Projects do more than inhabit an environment: they create one. They have a powerful effect on the people, procedures and interactions that surround them. The effects ripple outwards, so that when a project starts to go wrong, many people are affected: the project manager and the team, the project sponsor and the project steering group or board that oversees the project, the user groups and business owners, the suppliers, contractors and technical experts, and the stakeholders and bystanders. So in tough times, “purple bus leadership” becomes essential. A project leader is able to inspire and motivate others to stay calm and contribute effectively in tough times, as well as manage them when they do. Think about two buses. People have to get onto the yellow bus to get where they have to go. It is well-maintained and safely driven. If it breaks down on the way, the passengers are confident that the driver will know what to do. But they cannot help but feel concerned about whether they chose the right bus, and whether it will be able to get them where they need to go. People hear the driver of the purple bus talking about the destination, and they want to get on. They enjoy the journey and find it stimulating. They trust the driver and, if the bus breaks down, they all get out and want to help. They are confident that the driver is in control and they wait to be told what needs to be done. Project leaders face three challenges in tough times: resistance from people who have perceived and legitimate concerns, dealing with problems and adverse circumstances, and staying tough when you’d rather just quit. In times of change, resistance is inevitable. Dealing positively with that resistance is a great enough challenge at the best of times, but when you are under pressure, it can feel as if the whole world is against you. Project leaders must understand the psychology of resistance and be able to diagnose the type of resistance that they encounter, understand why they are getting it, and have a toolbox of resources to help them engage with it constructively. As we go down through the levels, the resistance gets hotter and more complex to handle. At this first level, you need to make the evidence of the need for change clear, finding the best way to represent it so that your resister can understand and internalise it. At the next level, you are going to have to work harder. At level two, you are likely to hear something more like this: “I don’t understand why this change.” Now the resister gets the need for change, but fails to see how or why your project is the right response. As you deal with each layer, you are likely to find more beneath it. That’s why I call this the “Onion Model of Resistance”. Read more about this in The Handling Resistance Pocketbook. When something goes wrong, a knee jerk reaction is rarely effective and never wise. Instead, project leaders should deploy the SCOPE process to take control of their response to the problem. The SCOPE process is a five step process for mentally taking control of a situation. Mentally and physically pause. Avoid rushing in. Seek out all relevant facts that will help you understand the situation and its potential consequences. Identify alternative options for your response, and evaluate each against potential consequences. Select your course of action. Perhaps the biggest challenge in tough times is to remain tough yourself. By “tough”, I don’t mean “hard” or “assertive”, but resilient. For me, resilience marks an important difference between a capable project leader and a great project leader. When things go wrong, resilient project leaders start to shine. An aura of confidence and optimism draws people towards them, inspires trust and confidence, and creates a willingness to follow. Maintaining your resilience requires both mental and physical discipline. You cannot take the objective, partially detached perspective you will need if you are tired, mentally drained and physically exhausted. Adrenalin will help, but followers need to see calm at the centre of the storm, so here are some top tips for how to create the basis for resilience in the teeth of adversity. Look at the opportunities and resources you have available to you with a positive eye and keep your focus on what needs to be achieved. In the face of setbacks, acknowledge them, but don’t dwell on them. Learn the lesson and move on to the next thing. Whether aimed at yourself or others, blame serves no purpose. People know what they have done – the thing that matters is to overcome the problem and all blame will do is foster fearfulness at a time when you most need courage. Look at the evidence of what has happened as objectively as you can avoid the temptation to let false, limiting or magical beliefs cloud your judgement. Acknowledge your beliefs about events, and then challenge them robustly, by testing them against all of the evidence, before you act on them. At stressful times we tend to personalise adversity, or focus on one causal factor – which may not be the most significant, if it is relevant at all. Be sure to make time for good quality food, sufficient exercise and plenty of rest, so that when a crisis hits, your batteries have reserves of energy. If the crisis continues, then make sure you recharge those batteries from time to time. This essay is linked to Part 3 of Brilliant Project Leader by Mike Clayton. What the best project leaders know, do and say to get results, every time. This entry was posted in Attitude, Brilliant Project Leader, Positive Psychology, Project Success, Resistance to Change, Team Leadership and tagged leadership, Project and Program Management, project leadership, project management, purple bus leadership, resilience, resistance, SCOPE Process, the onion model of change, tough times on 21 November, 2013 by Mike Clayton. The truth is not a constant. Knowledge changes and you must change with it if you are to stay in control. When I was a child, enchanted by science, I learned about planets and dinosaurs. I learned about the outermost planet, Pluto, and the giant saurischian, Brontosaurus. Now, Pluto is no longer classed as a planet (but as a dwarf planet, along with Eris, Ceres, Haumea & Makemake) and the name Brontosaurus has been relegated to a curious historical footnote against Apatosaurus (whose skeleton body was once insulted by the wrong head and called a Brontosaurus). In every field of human knowledge – from astronomy to zoology and from geology to sociology – we make progress when new knowledge challenges old ideas. Consequently, the wisest stance to adopt is scepticism: ‘a tendency to doubt’. For project mangers, doubt is a valuable weapon in your professional arsenal. Let’s look at some examples. Amos Tversky & Daniel Kahneman (whose wonderful book, ‘Thinking: Fast and Slow‘ I have recommended before) coined the term ‘Planning Fallacy‘ to describe the well-observed tendency to assume that the time things will take is pretty close to the best case scenario. I would add to that ‘Planning Delusion‘; a tendency to believe our plans will be a true reflection of events. They rarely will. Doubt is the key to proper planning and preparation – doubt your best case scenario and doubt your plan. This was coined in his book ‘Godel, Escher, Bach: An Eternal Golden Braid‘. When things go well, we fall into an optimistic bias that leads us to suspect that we are working on a special project that is an exception to Hofstadter’s Law. What rot. Healthy scepticism keeps your senses attuned to the problems, delays, and general foul-ups that are the very nature of life. The sooner you spot them, the simpler it tends to be to fix them, so the heightened awareness that doubt brings is the key to staying in control of your project. The nature of risk is uncertainty, so where can doubt be of more value? And there are different types of risk. ‘Aleatory risks’ represent inherent uncertainty in the system – we cannot know where a ball will land when the roulette wheel spins. ‘Epistemic risks’ arise uncertainty the uncertainty due to the gaps our knowledge. ‘Ontological risks’ are those about which we are wholly unaware. We therefore tend to believe that absence of evidence is evidence of absence – and are frequently wrong. Once again, doubt would prevent this mistake. For a summary of these kinds of risk, take a look at my simplified ‘Four Types of Risk’ infographic. Spot on – absence of evidence again. When people resist our ideas our first instinct is to tackle that resistance – to take it on and aim to overcome it. Wrong! Step 1 is doubt: ‘what if they are right and I am wrong?’ It is a crazy notion, I know, but if it turns out to be true, doubt can save you a lot of wasted time and a possible loss of reputational capital. I attended an excellent one-day seminar on Positive Psychology in Organisations, led by the inspirational Sarah Lewis. One take away is the doubt we should apply to excellent performance. We tend to consider it to be ‘what we expect’ so we focus on fixing poor performance. One of the vital practices of the best and most flourishing organisations is to focus on this ‘positive deviance’ and work hard to understand and then replicate it. Doubt frustrates decision making so it cannot be a good thing, can it? Well, yes, it can. Often, doubt arises from ‘gut instinct’. We know what the facts are telling us, but our intuition disagrees. Daniel Kahneman (yes, him again) will tell us that our instincts are fuelled by bias and faulty thinking, but another excellent thinker, Gary Klein (author of ‘The Power of Intuition’) reminds us that in domains where we have true and deep expertise, that intuition may be working on data we have not consciously processed. Doubt should lead us to look more deeply before committing to an important decision. One of the reasons clients most value my time management seminars is that I don’t have a system. Which is good for them, because their people have numerous interruptions in their working day, meaning that any plan they draw up will be stymied by necessary reactions to events. I do advocate making a plan; but I also advocate reviewing it frequently. Sticking to an out of date plan, based on yesterday’s priorities is worse than having no plan at all. This is, of course, a cornerstone of good monitoring and control for us as project managers. Doubt causes stress, because doubt robs us of control. Is the solution, therefore to work hard to eliminate doubt? It could be in some circumstances, but the solution to removing stress is to regain control, and this need not require you to remove doubt, but to embrace it and make it part of your process. That way, you keep the value of doubt, but take control of how you apply it. Doubt and scepticism suffuse my whole concept of wisdom. It arises from the combination of perception – noticing new evidence – and evolution – altering your world view in accordance with your new knowledge. It features in conduct and judgement, and even in fairness. And what authority can you have, if you hold fast to old certainties in the face of new realities? For more about my concept of what wisdom is, and how to develop it as a professional, take a look at my book, Smart to Wise. This article was first published in June 2013, in my monthly newsletter/tipsheet, ‘Thoughtscape’. Why not subscribe to my Thoughtscape newsletter? This entry was posted in Analysing Risk, Attitude, Brilliant Project Leader, Estimation Bias, PM Dangers, Positive Organizational Scholarship, project management, Risk Happens!, Smart to Wise, Stakeholder Management and tagged aleatory risk, Amos Tversky, Daniel Kahneman, epistemic risk, Hofstadter's Law, knowledge, ontological risk, planning delusion, planning fallacy, positive deviance, project planning, risk, stakeholder engagement, stress, Time management, wisdom on 14 November, 2013 by Mike Clayton. No: glass-half-full optimism is just foolishness. A real optimist is someone who is attuned to the advantage and opportunity in every situation. They are realistic about their status and its potential consequences, but they don’t let that distract them from a constant search for resources and solutions. Consequently, optimists tend to perform better under pressure – not simply because the find their solutions, but because their stress levels are lower, meaning that the think more clearly about their situation, making a more realistic assessment of threats and opportunities. It is no coincidence that professions that frequently expose practitioners to high stress conditions (such as uniformed services), training places a high premium on the capability of remaining calm under pressure. Project managers and change agents spend much of their working lives under pressure. We have one powerful response to address this: control. Stress results from a feeling of not being in control. In my experience, what project managers crave, above all else, is control; so by spending much of our time creating a controlled environment around our projects, we are, at the same time, working to reduce our stress levels. But what when the control slips? How do we deal with the stress then? I offered some remedial suggestions in a recent post. But I’d like to suggest that you start creating a positive habit in yourself, from today. Get into the habit of framing every project incident as a positive opportunity. This doesn’t mean labelling good news as bad or, worse, hiding it. It does not even mean adopting silly euphemistic language: ‘this isn’t a set-back; it’s an opportunity.’ Yuk. Resources: what have you got, what can you easily access, what do you need and how can you secure them? Options: what are they, what criteria can you apply, how will you evaluate them, and whose opinions do you value? Believe: that you can overcome your setback. Belief is not evidence based so, until there is evidence one way or the other, you can believe what you like: you will succeed or you will fail. You choose: I choose ‘succeed’. This entry was posted in Attitude, Brilliant Project Leader, Positive Psychology, project management and tagged Optimism, pressure, stress on 29 October, 2013 by Mike Clayton. In last week’s blogs, I shared how my father influenced my attitudes to project management, and discussed five of those lessons under the general heading of “A Generous Way”. This week, I will complete the story with two more sets of lessons: on Thursday, under the heading of “A Careful Way” and today, thinking about how my father’s attitudes formed “A Harmonious Way”. This entry was posted in Gerald Clayton, Positive Psychology, Project Heroes and tagged gratitude, Philip Zimbardo, Positive Psychology, Time Perception, Zimbardo and Boyd, ZTPI on 15 June, 2010 by Mike Clayton. “Big” milestones mark significant events or moments in your project of change programme. They indicate you have achieved something noteworthy, or are ready to start something important. Equally, they can mark a key decision, or the resolution of a major uncertainty. If you are wondering: “what other type of milestone is there?” then you need to come to one of my seminars – click here for details. Setting in place milestones is often one of the first planning activities we undertake. Indeed, for a deadline driven project (my own speciality), it’s frequently the first. For smaller projects, many project and change managers use nothing else – and that is just fine, if it works for your project. I know that not all my readers work on large projects. So one question I am often asked is “how many milestones should I set, Mike?” I have often been tempted to answer with reference to a piece of string but, having seen a recent Horizon documentary on BBC2, I never will be again. Some project managers feel that using too many milestones is inelegant – perhaps even crass. It also creates what some see as an un-necessary straight-jacket on the project; forcing too much attention on time-lines, which can lead to a resultant temptation to micro-manage the tiniest slippage. Where are the opportunities for flair and innovation. Others prefer to use more milestones. I declare myself in this camp. Though open to the criticism of being overly controlling (guilty, maybe), they also believe that milestones serve a great purpose in focusing attention on progress. And, to prevent an excessive focus on small slippage, I like to place a small contingency between the last activity in a sequence, and the milestone that caps the sequence. … is this: Each milestone achieved is a success. You can celebrate each success with your team and your stakeholders. More milestones: more celebrations. More celebrations: more motivated team and your stakeholders are better convinced of the reality of the change you are promoting. … which leads to greater self confidence and stronger performance among your team and, ultimately, a better project. As for your stakeholders; when they can see progress, your supporters will have reason to cheer, your detractors will have their doubts undermined, and your agnostics will have evidence that you can succeed. Make use of more milestones; be liberal with them, They don’t have resources attached, so they are free! This entry was posted in Change Management, Monitor & Control, PM Tools, Positive Psychology, project management and tagged celebration, milestones, persuasion, planning, project, project plan on 2 March, 2010 by Mike Clayton. Yes, I do believe this! When I say “you get the team you deserve,” I don’t mean that if you are good (whatever that means) you will be rewarded by being allocated a great team of people to support you in leading change or managing your project. And I certainly don’t imply that if you are a bad person, then the universe will punish you by seeing that you get allocated the dross of your organisation to support you. If only life were that fair. It isn’t. For most of us, however, it is true that we get teams allocated to us with very little opportunity to pick and choose. Even in a consulting environment, where I used to work, where there is a vast pool of talented and keen colleagues, project managers rarely got their pick of the pool. We usually got our choice of “whoever is available”. And often, the best people are busy. Such is life. What is also true is this: how you view the people you get on your team will massively affect how well they work; their motivation and enthusiasm, their flexibility and resourcefulness, their capability and results. If you take the view that you have the best people you could get and you then work hard to engage them, motivate them and develop them, investing your time and effort in their success; then they will develop, they will work hard and they will be a great team. In my last post, I talked about Positive Psychology and how I expected it to affect my thinking significantly. One aspect that Sarah Lewis introduced me to was the research work of Marcial Losada and Emily Heaphy. It’s complex, jargon-ridden stuff and I have not read the original material yet (a chance to use my background in non-linear mathematics and physics in a work environment at last). What I do understand from Sarah – who made it all seem very clear and obvious to me – is this. Teams that ask each other questions; … and listen to the answers; … and look for positives in what they hear; … and focus on each other, rather than themselves, … they perform well. It seems obvious, doesn’t it? But what Heaphy and Losada have done is to start to put some numbers to all of this and, I understood, are also showing that this is not just a coincidental correlation; there is cause and effect at work. In my recent book, The Management Models Pocketbook, one of the models I describe (see my website for a list of all of them) is John Adair’s Action Centred Leadership. I would say that this model is a valuable resource for anyone leading a team – not least project managers and change leaders who have to marshal a team quickly and keep them performing well under conditions of uncertainty and pressure. In my critique of the model, I commented that the big “missing” for me was an insufficient emphasis on team communication. Adair places the team leader at the heart of the team – possibly because of the origins of his thinking in military training. I prefer to lead by enabling the team to perform together, so foster good “intra-team” communications. My model of team leadership places communications explicitly in my list of four top priorities, rather than as an implicit part of the leader’s role. Losada and Heaphy’s work gives me more to say on how to get the best from team communications. A valuable addition to all our learning. Read about Positive Organisational Scholarship and crucially, start to pay attention to the way your teams speak with one another. This entry was posted in Management Models, Positive Organizational Scholarship, Team Communication, Team Leadership, Teams and tagged action centred leadership, Change, communication, positive organisational scholarship, project, team on 11 December, 2009 by Mike Clayton.